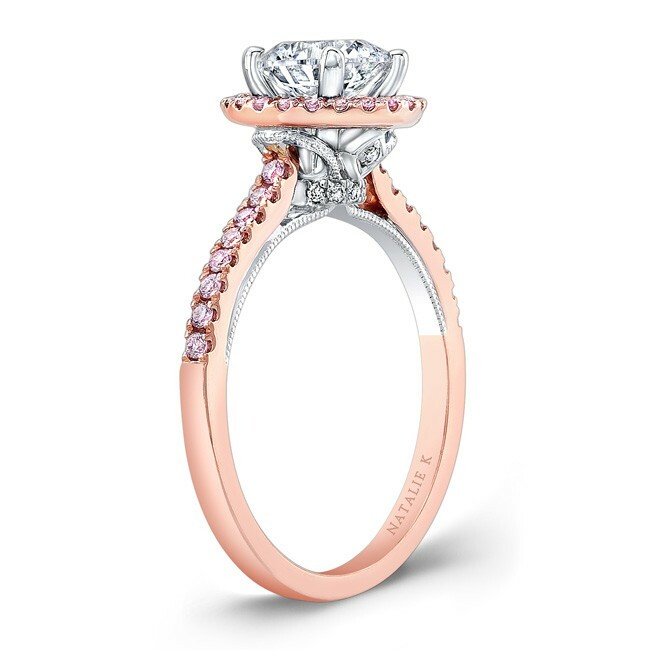 Warm rose gold glows and glistens with prong set pink diamonds along the shank and wrapped around the center mounting in a dazzling halo. 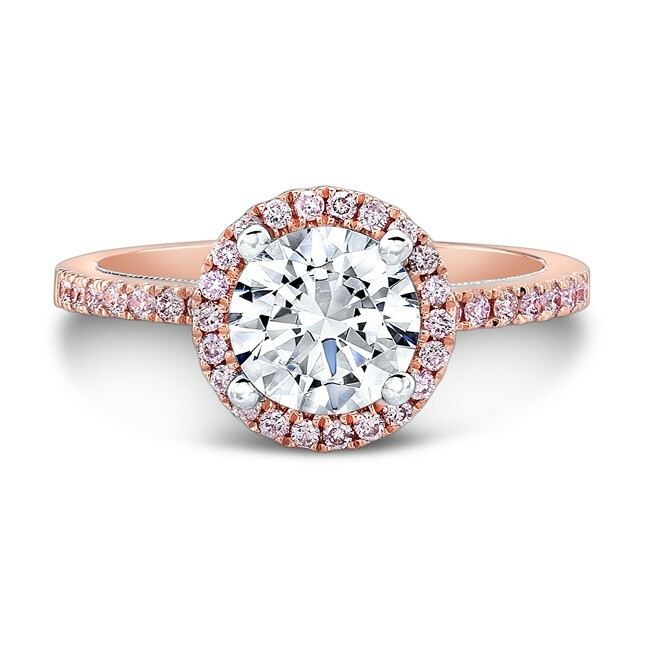 Brilliant white gold is features in the gallery with milgrain detailing and prong and bezel-set white diamonds, 38 BR Pink Diamonds 0.28cts. 12BR 0.04cts. 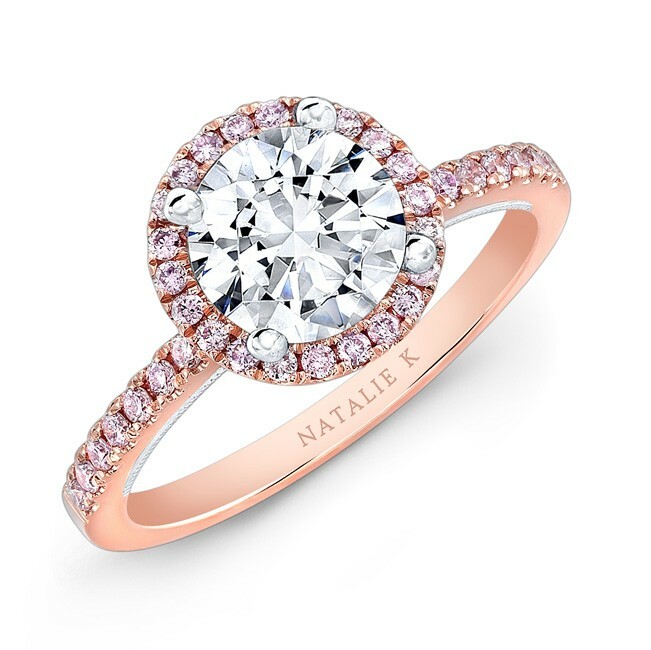 38 BR Pink Diamonds 0.28cts. 12BR 0.04cts.